In Australia, 300,000 to 900,000 square kilometres are affected by bushfires every year. Most of these fires occur in central and especially in northern Australia. These fires threaten infrastructure and people's lives and are a large source of greenhouse gas emissions. Due to the vast expanses and remoteness, earth observation using satellites is an essential source of information for efficient fire management. 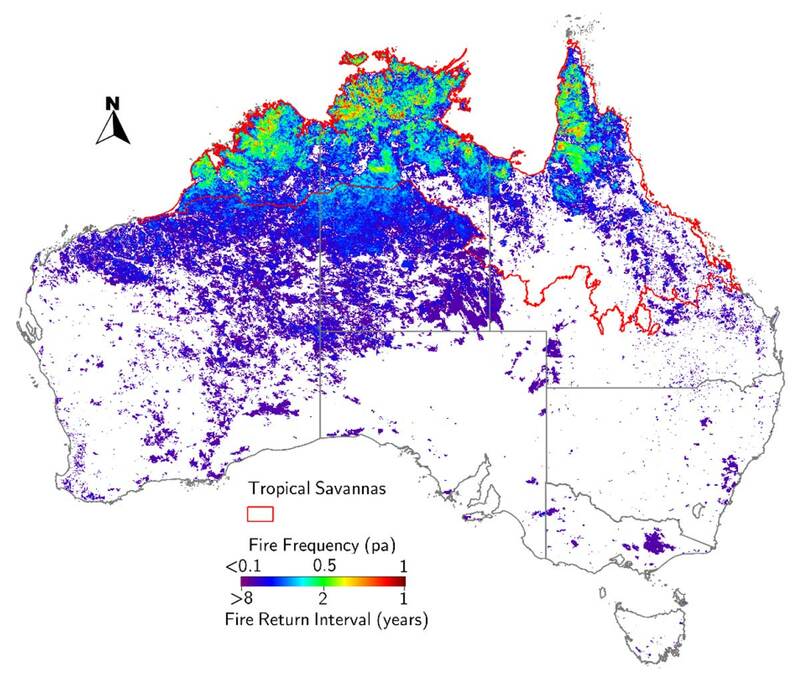 Northern Territory company maitec has developed a range of novel fire information products utilising data from earth observation satellites, providing more frequent, timely and detailed information on bushfires. maitec's fire extent mapping product is available to fire managers within two hours of the satellite overpass. Combining the information from multiple satellites allows the information to be updated multiple times per day. Most countries use earth observation from satellite for inventory purposes long after the fire only. In contrast, this system allows Australian fire managers to be world leaders in utilising satellite-based earth observation for active fire management1.